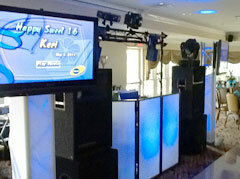 High Energy can set up a 6-, 8-, or 10-foot Video Screen for your Picture Montage and for Digital Zap Shots during your cocktail hour and reception. Please call for pricing. 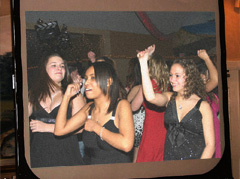 All photos taken are transferred onto a CD for you as a keepsake. 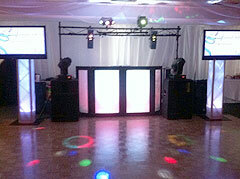 LI's High Energy can customize any Plasma or Video Screen Package to your budget and taste!